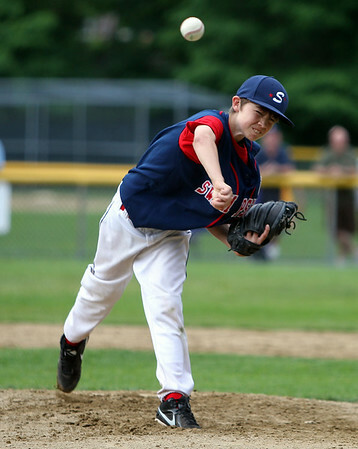 Swampscott starting pitcher Ethan Weisse fires a pitch against Peabody West on Thursday evening. DAVID LE/Staff photo. 6/26/14.